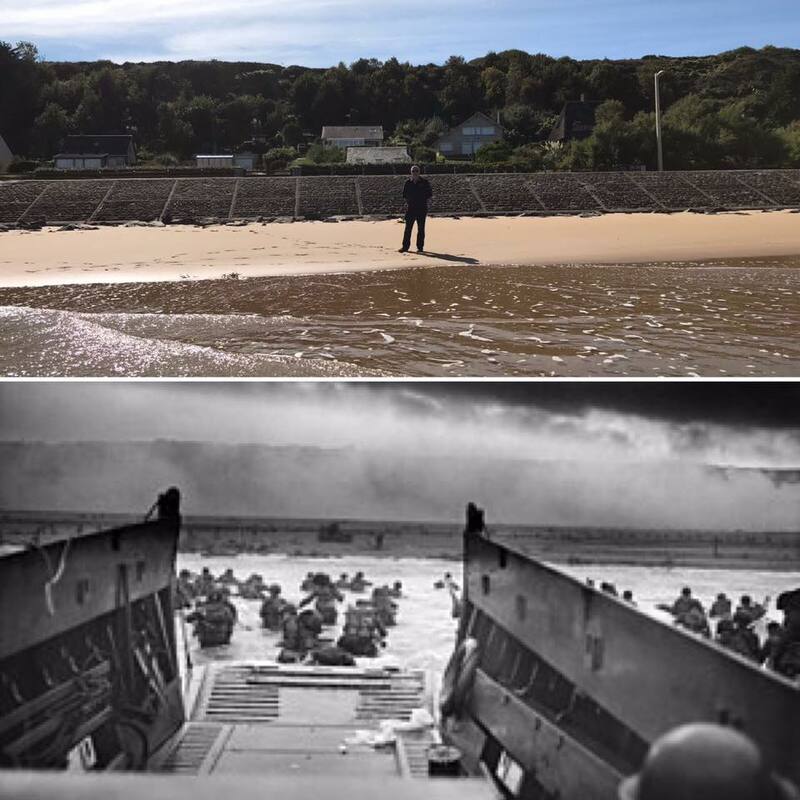 In September this year Martin and I made our first trip to Normandy to tour the D Day Beaches and towns which were the site of such hard fought battles towards the end of World War II. 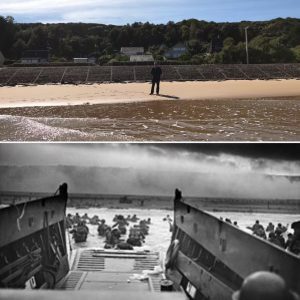 Nothing can prepare you for the emotions you experience standing on the vast Omaha Beach and envisage the morning of 6 June 1944. 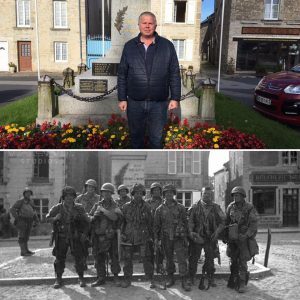 Whilst in France we were lucky to meet with our friend Dave who has visited this area over 30 times and has a vast knowledge which he was kind enough to share with us. With Dave as our guide, we visited all the D Day Beaches, Gold, Utah, Omaha, Juno and Sword. 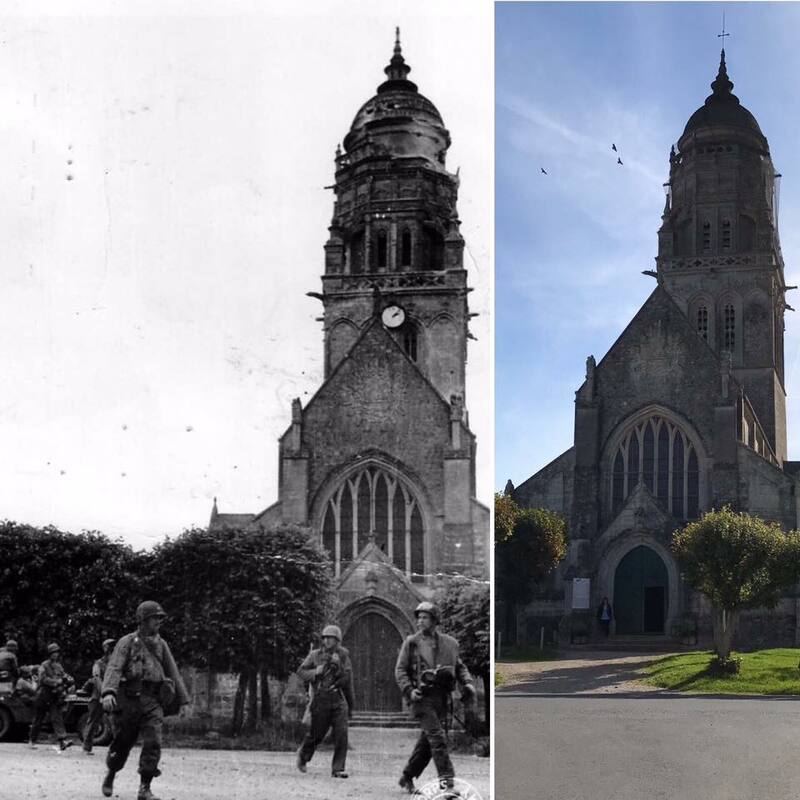 We drove through the pretty villages, one of which was Angoville-au-Plain, where the wooden church pews are still stained with the blood of allied troops who had to use it as a make-shift aid station. We drank coffee in the square in Carentan which features in Band of Brothers and was the schene of a prolonged and bloody battle. During the week we took a series of then and now photos in key spots which we feel have quite an impact. 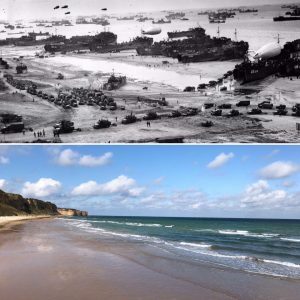 As we approach Remembrance Day once again this November, we will remember more than ever before the sacrifice and bravery of the allied forces during World War II. 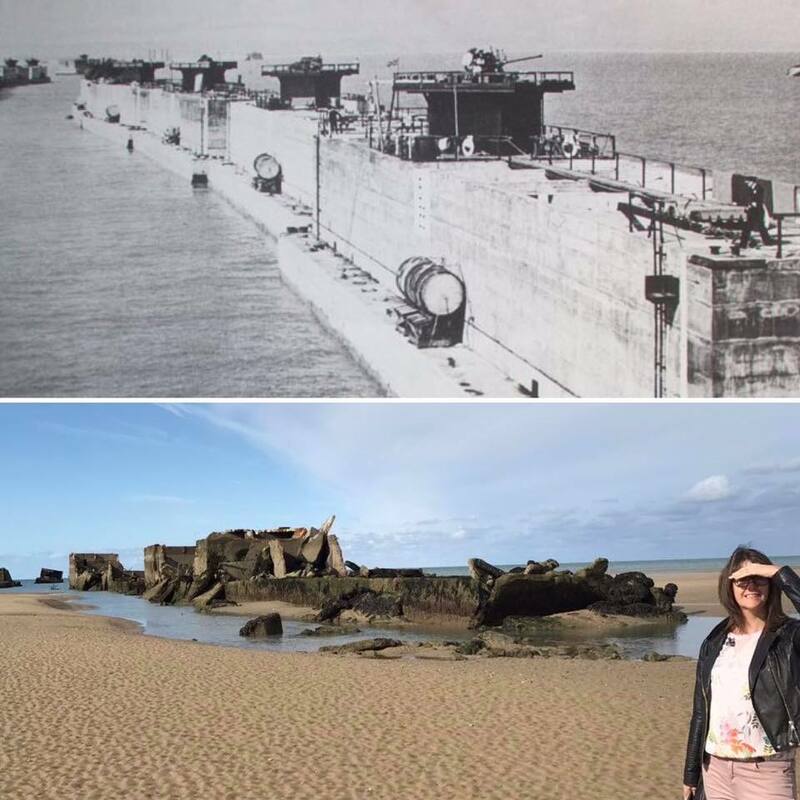 The Mulberry harbour on Juno beach near Arromanches was an unbelievable feat of British innovative engineering which allowed ships to dock at this temporary harbour and offload men and machines on a massive scale. Also known as 'Port Winston. 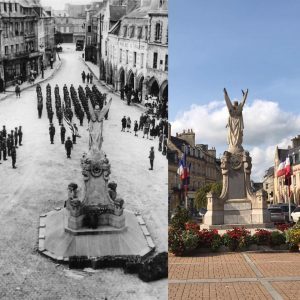 This WWI monument of a French soldier had been pulled down in 1940 by German troops. 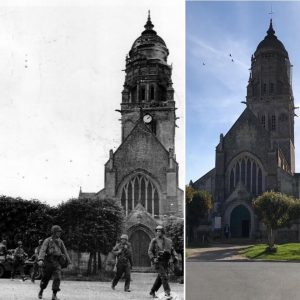 This photo was taken in 1944 after American troops put it back in place. The beautiful church at St Marie du Mont. The bell tower was used as a sniper spot by German troops. Carentan market square. After the battle to take Carentan was over, troops gathered in the square only to come under a sniper attack. On the cliff tops at Point du Hoc. 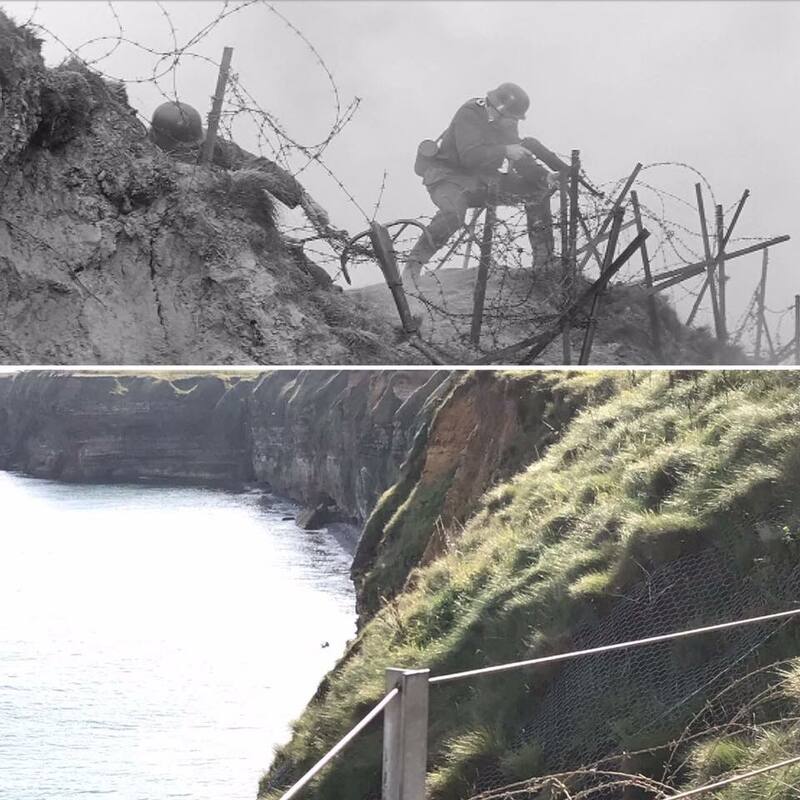 On climbing the cliffs, the American Rangers were faced with German fortifications so strong it took two days to gain control. This headland was between both Utah and Omaha beach so it was a critical mission. 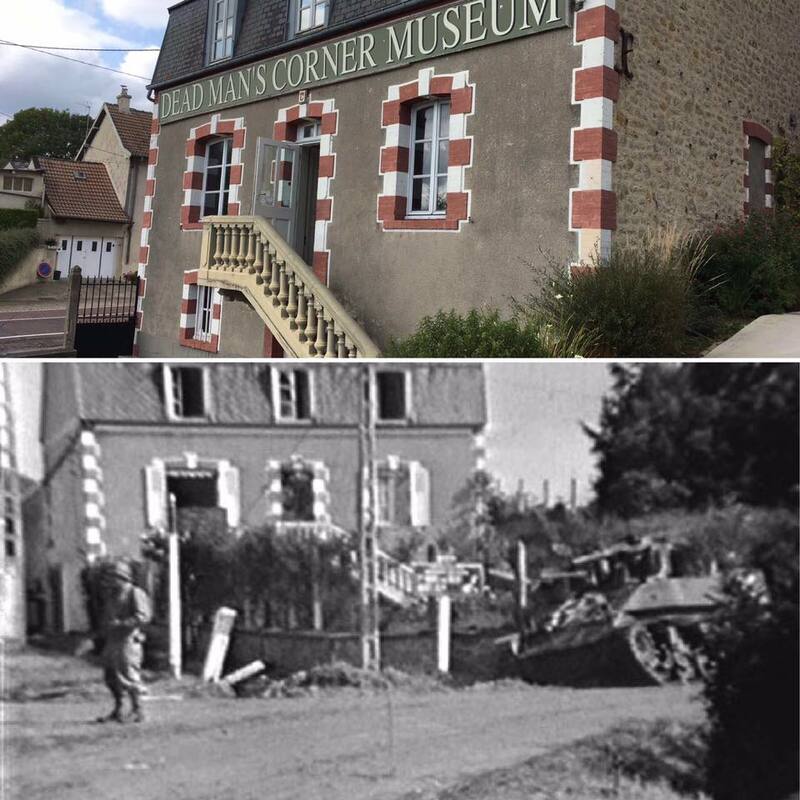 Dead Man's Corner on the route taken from Utah beach to Carentan - now a museum. 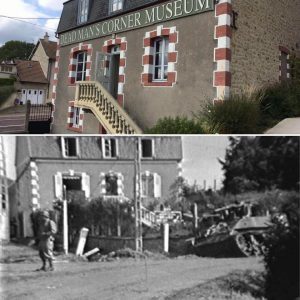 Given the name to mark the spot where a US soldier lay unrecovered in his tank for days while the battle at Carentan raged.